We love Ina Garten. You love Ina Garten. 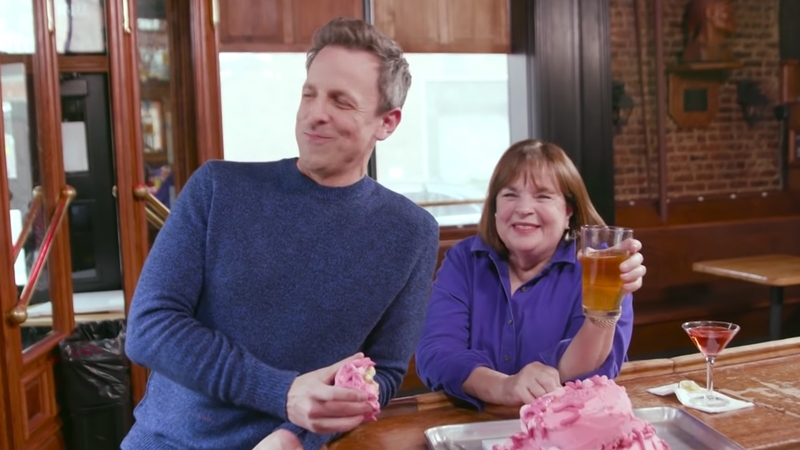 Turns out, Seth Meyers loves Ina Garten, too! 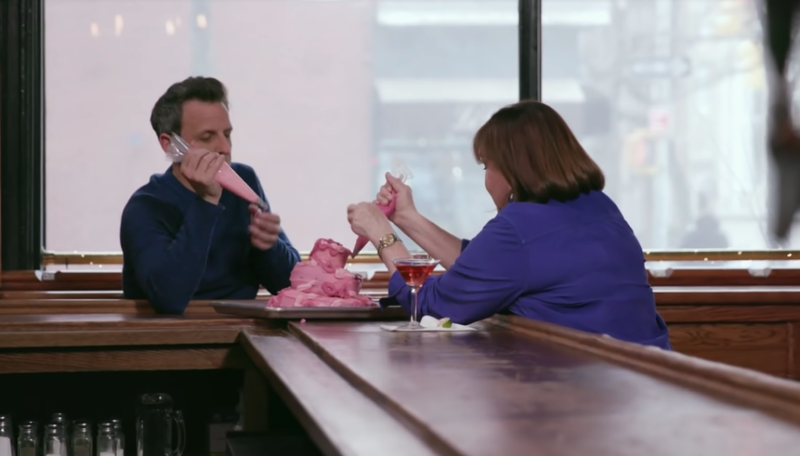 As part of a feature for Late Night With Seth Meyers, Seth Meyers and the Jewish celebrity chef went day drinking together — and the results are incredible. Ina and Seth start by making their own drinks; Ina brings her own measuring cup (obviously). They make three drinks from Ina’s own cookbook: Duke’s cosmopolitans, mai tais, and fresh whiskey sours (Ina’s favorite, fun fact). “I’m scared,” Ina says, as she tries Seth’s mai tai. Next, Seth devises a drinking game for Ina. Since she is the Barefoot Contessa, he wants to see if she can match celebrities to their bare feet (get it?!). The Barefoot Contessa's best recipes for a fabulous Friday night dinner. Roast chicken is delicious, and apparently, can cause you to get married. All your favorite Jewish foods with the special Barefoot Contessa touch.